A perfect size to carry a cell phone, car keys and driver’s license, these pocket bags were originally designed in Sweden to carry oats or salt to encourage your cows to follow you home! This practical yet charming bag serves as a reminder of cultural heritage and as a focal point of beauty as it carries your belongings. Inspired by the “kjolvaska”, or skirt purse, which accompanies the Swedish folk dress, you will create a similar multi-purpose pocket. 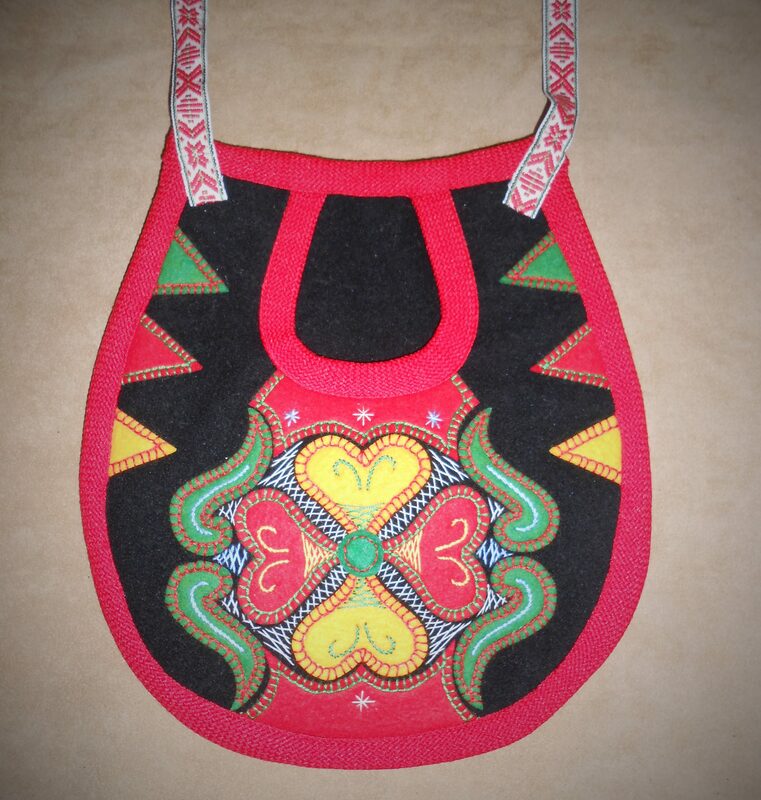 The surface design is a wool felt applique with traditional embroidery. The wool bag is approximately 8 inches X 9 inches and will have a cotton/polyester lining. In addition to sewing the bag together using a sewing machine, you will learn 5 embroidery stitches and additional decorative filler stitches, these will be hand done as is true to tradition. A pocket which can be completed in class, will be worn around the waist or as a shoulder bag. The embroidery stitches learned can then be applied to other sewing projects at home!